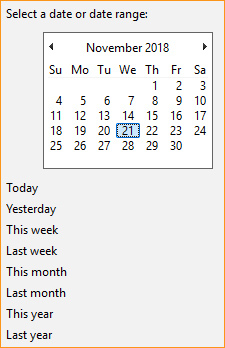 Friends, Sometimes u lost ur file and u dnt know that ehere is my file in the pc, But u know the date on which u put this file in the pc than u can find it easily by this solution. Open the Windows File Explorer in ur windows. 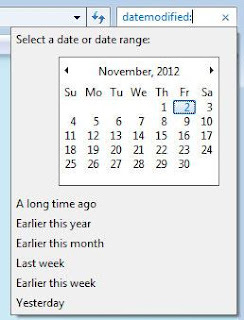 After that "Select a date or date range" window will appear, select the date or date range for when you believe the file was last modified. Depending on the dates this search may take a few seconds to a minute to complete. 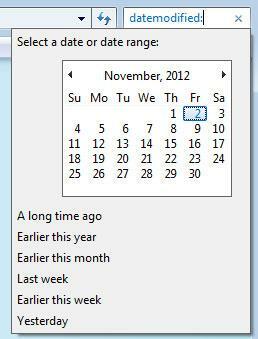 Than all the files will appear which are added in ur pc at that date.